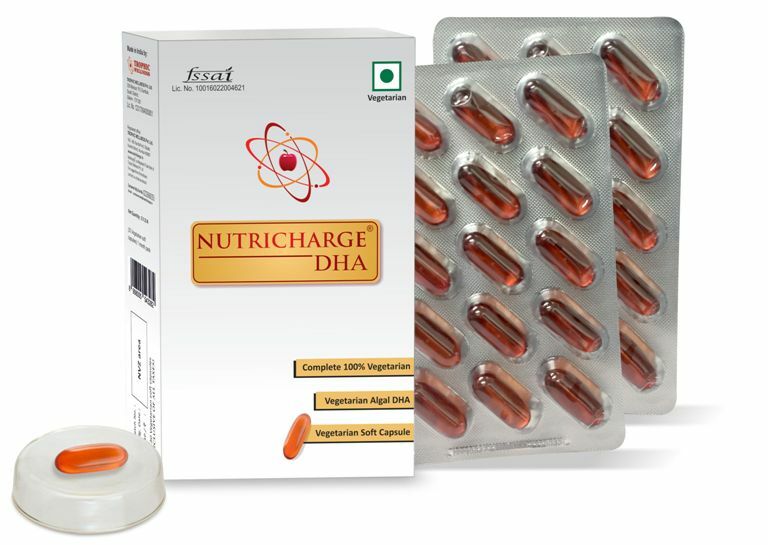 Nutricharge DHA contains 400 mg elemental DHA made specially for women in the reproductive phase. Women planning to conceive, pregnant ladies as well as lactating mothers need to consume just 1 veg soft capsule of Nutricharge DHA daily to get the necessary DHA. The DHA reaches the foetus through the placenta and helps in the formation of brain of the foetus/child. Unlike the market available DHA which is made from fish and is strong in odour; Nutricharge DHA is one of its type completely vegetarian product and has a sweet caramel smell making it easier for the pregnant women to consume the veg soft capsule.